Do you love exciting and educational journeys? Have you always wanted to visit the holy places? Then this tour is for you! 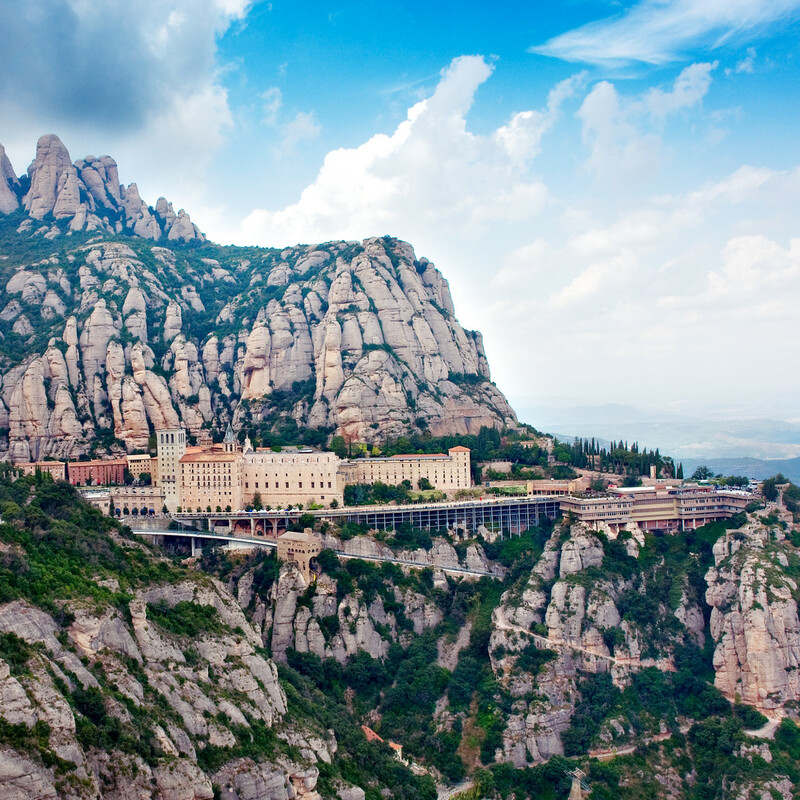 We will go to the sacred mountain of Montserrat - a symbol of Christianity and the place of the Spiritual Force! The sacred mountain of Montserrat, in its importance, took the 3rd place after Jerusalem and the Vatican. Here the Holy Virgin of Montserrat can be found, for more than 1000 years pilgrims are turning to it with the requests and the innermost wishes. And if they are fulfilled, people vow to rise on foot to the top of the mountains, which is 1236 meters above the sea level! And once you are there, take a look at the hill side, you will notice people climbing up through the narrow paths, that sight might make you believe that Madonna indeed grants wishes. During the tour we will Basilica, built by the Benedictines monks and hear the angelic voices of the choir boys' Escolania. This chapel is the first and the oldest conservatory in the world. Here, since the 11th century collected the best voices of boys from all over Europe. During the free time you can visit the exciting Museum and see the picture of the famous artists: El Greco, Caravaggio, Picasso, Dali and others as well as you can go to the cross of the Holy Mikhail. There is a funicular which you may take up to the top of the mountain which offers beautiful views. Also pay a visit to a market and taste some cheeses, honey and liquors. You will enjoy this day spent at the mountain Montserrat as here the history, art, religion and culture combine together in a unique harmony!